Model AL802ULADA is an extremely cost effective 8 amp voltage regulated remote power supply/battery charger. 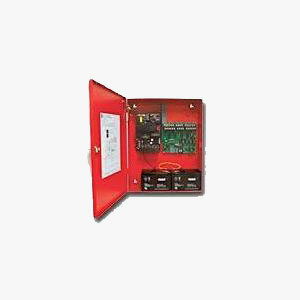 It may be connected to any 24 volt Fire Alarm Control Panel (FACP). Primary applications include Notification Appliance Circuit (NAC such as strobes and horns) expansion support to meet ADA requirements. It also provides auxiliary power to support system accessories. The unit delivers regulated and filtered 24 volt power to Class B or Class A NAC loop circuits.